1 Are you board certified in cosmetic or plastic surgery? I’ve written another post about the difference of these two specialties (here), but it’s important the doctor performing your cosmetic procedures has one of these levels of training. Not all doctors are required to be board certified to administer cosmetic procedures – if they are not board certified it means they do not have the same level of training or experience as those who are. Another title to be weary of is “national instructor.” While at times this may be associated with experience and excellence, often times companies will allow willing doctors who have invested money in the company or their products serve in this role, despite lack of experience. 2. How many years of experience do you have with cosmetic surgery? With time comes wisdom and invaluable experience to navigate all types of cases and patients. Choosing a surgeon with significant years of experience can help ensure optimal outcomes and a smooth cosmetic surgery process altogether. 3. How many cases have you done of this procedure? Whichever procedure you are interested in, you want a doctor with a high level of past experience specific to that procedure. The surgeon will know approximately how many he has done. This number is important because it means they have been exposed to a lot of different body types of scenarios to better set you up for success. 4. Can you show me some of your real patient results? Any experienced surgeon will have a plethora of before and after photos specific to the procedures they regularly perform and should be more than willing to show them to you in the office. These photos are important so you can see the results and also discuss surgical techniques with the doctor. 5. What can I expect from the procedure and recovery? Cosmetic surgeons with significant experience levels can clearly communicate with patients on what they can expect on the day of surgery, as well as expected recovery time. Knowing your limits and post-surgical care is very important and can lend itself to the best results possible. You will want to understand whom you can contact if you have questions after the procedure, as well. In the end, you want to have a surgeon that is experienced, gifted with aesthetics, and makes you feel comfortable. 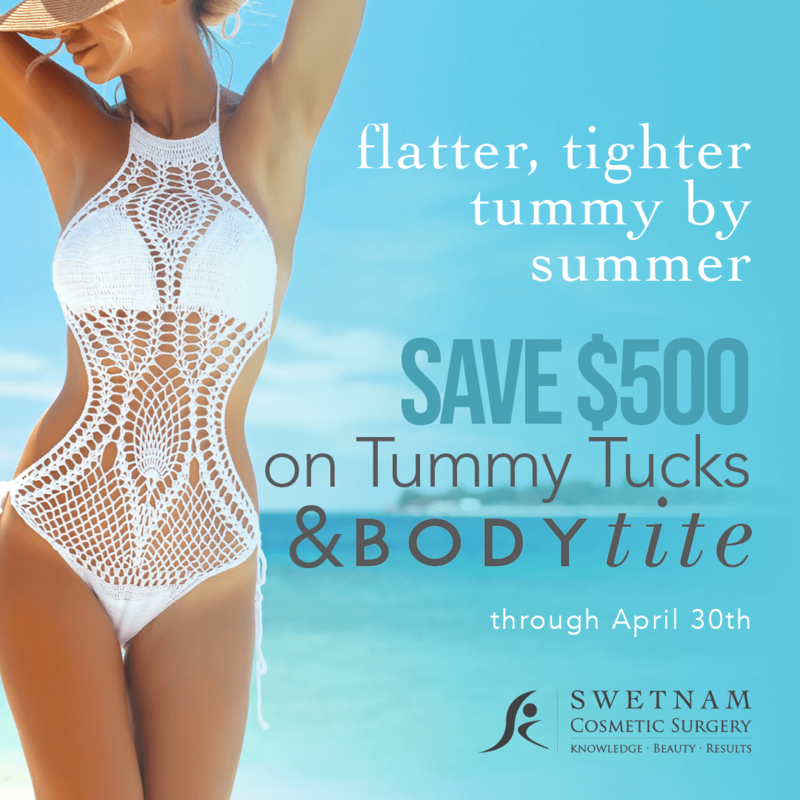 I hope you will find all three of those to be true at Swetnam Cosmetic Surgery. We strive to help our patients meet their aesthetic goals and walk with them every step of the way. If you are interested in cosmetic surgery, the best first step is a consultation where I will have the opportunity to meet with you, discuss your goals, and present surgical or non-surgical options. Give us a call at 479.966.4174 to schedule your consultation today.